Mymazn is professional manufacture of server book, we have different model, below is the summary. 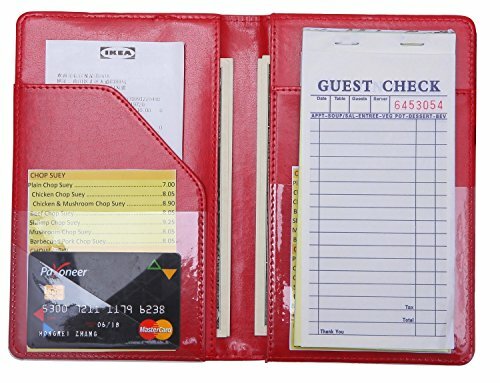 Size 4.7* 7.5 inch, fit regular guest check (which is not included), can be put into apron pocket. If you are not completely happy with the product, please send us a mail, we give refund within 3 months or replacement within one year.